So, what are the best products to sell on Amazon? Well today i’m going to answer this question, but first a bit about me. 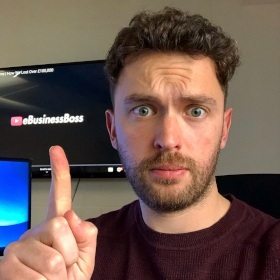 My name’s Sam and I’m one of the founders here at eBusiness Boss. I am one of the experienced Amazon Sellers, specializing in both online arbitrage and private label, for this article the main focus will be on the private label business model. If you’re reading this article then I’m guessing you’re an Amazon seller who might be suffering from“searchers block” this is a very serious condition in the amazon selling world. Ok, yes i have completely made up that phrase but i’m guessing you would like to know how you can find the right sort of products to sell on amazon. Are you struggling to find those juicy Amazon products that can take your business to the next level? Or, maybe you’re on the fence with regards to selling on Amazon and before diving in you want some tips on what products to look for? Maybe it’s neither of these reasons and you just fancy a read about our methods. Well before I get stuck it in, let me say that whatever your situation, I can empathize, because although this whole process can be fun, it can also be a real chore. I’ve read so many stories about people who have stopped at the very first hurdle because they couldn’t find a suitable product. In this particular article, I’m going to get very specific about the best products to sell on Amazon and I will write another article about how I go about finding products to sell on Amazon. Finding the best products to sell on Amazon can be difficult, especially if you really don’t know what you’re characteristics you’re looking for. So let me offer you some pain relief by sharing some of my tips and tricks, we will also be looking at the successful strategies that other high performing Amazon sellers use. It’s worth noting that we are experienced in both Private Label and Online Arbitrage, this article will refer to both of the different business models. Anyway, I’m hope my little starter has you hungry for the main and desert, let’s get stuck in. A key criteria when looking for a product to sell on Amazon is the product size and weight. Receiving the goods – Whether you receive the goods directly to your home, office, warehouse or send them straight into an Amazon FBA warehouse, the same rules apply, you will have to pay for them to be shipped from the source to where you distribute from. Generally, the bigger the item is, the higher the shipping/postal costs are, so the idea is to aim for smaller items that cost less to ship. Storing the goods – Whether you store the goods in your home, office, warehouse or at an Amazon FBA warehouse, the same rules apply whereby bigger items take up more space and therefore cost more to store. Sending the goods – Whether you send/post the goods yourself or use Amazon’s FBA warehouse and distribution option, the same rules apply whereby bigger items cost more to pack and post, so again I believe it makes sense to aim for smaller products that are cheaper to send to the customer. As you can see, the above 3 points all highlight how choosing smaller and more lightweight products is what I consider to be the best option. This is especially relevant when starting out as you’re likely to have less money to invest. However as you grow I definitely recommend considering larger items because they can be equally if not more profitable, but that’s something I’ll touch on next later in the article. As I mentioned previously, I suggest going for smaller items, due to them being cheaper to source, ship, store and post. The cheaper nature of smaller products means that you do not have to charge as much to be making a good profit. Therefore, finding a product with an Amazon sale price of anything over $10 can still provide a good return on investment and is usually the benchmark I recommend. This approach of smaller $10+ items is what I have used from the start and i still sell these lower priced items today. However, I’m going to play devil’s advocate here, because despite the higher costs that come with larger items, there is a good side to selling more expensive items. Or you might sell eight small items for $10 and make $5 on each item, meaning a return of $40 in total from eight sales. You can see how you can get the same $40 return from fewer sales of the larger more expensive items. Larger items should not be completely disregarded, especially if you’re a more established seller with more capital, or indeed a newbie with a larger pot to invest. So let’s summarize, in terms of what price point you should be looking for, I’d say $10+ is a good benchmark and if you’re considering larger items then you should be looking at $25+. Of course, these prices are completely reliant on many other factors, but it’s a good basis to go by. Either way, there’s definitely money to be made with both small and large items (I just recommend small items, at least to start with), provided that you can set the Amazon sale price of the item so that it leaves you with a good ROI (return on investment) after all costs are taken into consideration. I’ll now move on to product cost and ROI. What sort of purchasing price should i be aiming for? When purchasing products, I usually look for the cost price to be under 20% of the selling price, as this allows for good profit after fees, tax etc. For example, if you were looking at something with an Amazon sale price of $10, you want the cost price to be under $2.00, this will allow you to make good profit. Remember, different products have different associated costs, before committing to a purchase be sure to calculate every possible associated cost! It essentially highlights the financial returns of an investment. So, if you get a return of $10 and the associated costs are $4, the ROI would be calculated at 150%. Now an ROI of 150% is impressive, in anybody’s book, so if your calculations are showing these kinds of numbers, well done! You must ALWAYS remember to factor in all costs (shipping, storing, prepping, postage, FBA fees etc) when calculating cost, not just the cost of the product. 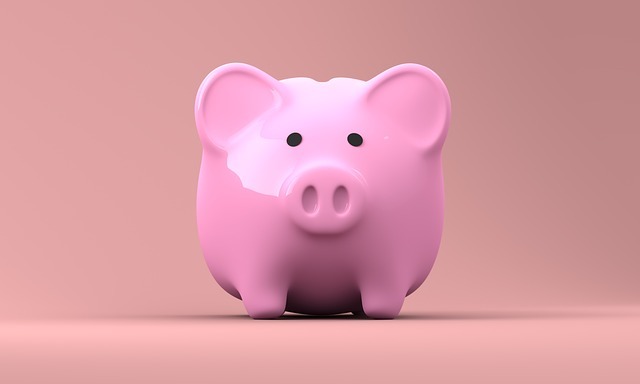 ROI can be a tricky concept to grasp, so rather than me just leave it at that, let me outline some of the variables and contributing factors you need to consider when deciding what ROI percentage is good, you will need to consider the sales volume of a product in relation to it’s ROI. For example, if the product flies off the shelf, then a ROI of 50% might be worth considering as although it’s at the lower end of where I like to go, it means you’re getting your money back quickly. Amazon’s best seller rank measures the performance of a listing, the lower the BSR, the more sales that listing is generating. By measuring the BSR you can estimate the sales volume of a potential product. When measuring BSR you must take the size of the category into consideration for example, number 1 in Health & Personal care may be selling more that number 1 in Pet Supplies, this is due to the size of the category. When looking at best seller rank, i recommend looking at products below 10,000 this is because any product ranking below 10,000 across most categories on Amazon.com usually has decent sales. I use software called Jungle scout, because it does all the hard work for you, they have a web app and a chrome extension that i use almost everyday, if you want to know more we have written a full review on the software by clicking the above link. Here is the video version of the review for anyone that doesn’t fancy a read. The review also include further tips and tricks that we use to find the best products for our business! Jungle scout also has a FREE rank estimator, it’s a game changer! If you don’t want to commit to purchasing the software you can use the free tool to help you make your purchasing decisions. The two other useful tools i use most days are keepa and camelcamelcamel they both help you view and analyse the historical rank and sales data, it’s useful to know a potential product has a good history of sales, otherwise you might be buying into a product that is only experiencing a temporary spike in sales. All in all, the general notion is to aim for products with as lower rank as possible, because it means the product sells better and you get your profits back quicker. Using the above tools should help you take your product selection process to the next level. Reviews, what do they tell you? Let’s address the Elephant in the room… Incentivised reviews. Until about 18 months ago, sellers were getting away with giving products to customers in exchange for a review, sellers would provide a buyer with 99% off and in exchange the buyer would leave a 5 star review. To protect the longevity of their platform Amazon made a drastic change to their terms of service (TOS), incentivized reviews were banned. Any sellers or reviewers caught breaking TOS would be suspended or banned from using the platform. Amazon removed thousands of reviews, as well as banning sellers and reviewers who refused to take the change seriously and adhere to the new rules. There are still those out there who are trying to test new ways of getting around Amazon’s rules, this is NOT recommended, do you think it’s a good idea to try and outsmart one of the biggest companies in the world. We welcomed the change as it provides a better shopping experience for the customer. 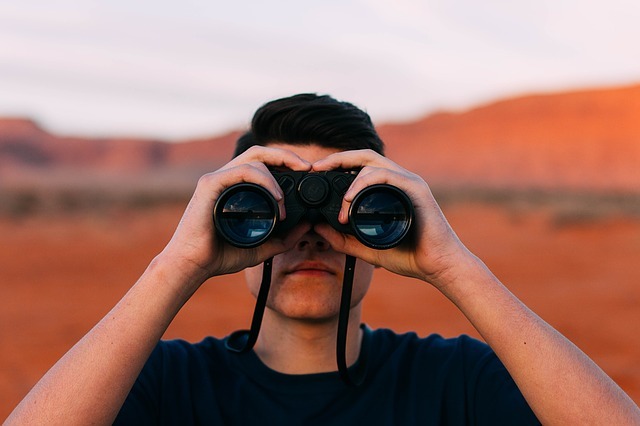 It’s important to analyse your competitors before diving into a product purchase, if the average review level of competing products is too high then it might be difficult to compete. I generally try to avoid products that have more than one seller with 1000+ reviews, unless of course i can easily improve the product with customization etc. The “star rating” is one of the main deciding factors for most customers. I recommend looking for products that are 4+ Stars overall as this generally means that the customer’s are happy with the purchase, if you can offer more value to the customer you are onto a winner. From the customers point of view, the better the star rating the more they can trust the product. But from a sellers point of view, the better the star rating the better the quality of the product. It is essentially the quality of the product that should attract you as this is what you want to be providing for your customers, that’s if you’re in this for the long haul. Level of competition – Can you muscle your way in? Let’s talk about competition. Following on from the previous section, if there are lots of sellers with 100’s or 1000’s of reviews, then it might be pretty tough to compete. The only time I might consider entering these competitive fields is if their actual star rating was low, say 3.5 stars and below. This is where I might analyse whether I can analyze any potential issues with the product, can i improve it? Another clear indicator of whether there’s space for you in the market, is the amount sellers selling the same product. Again, Jungle scout is really good for this, especially their chrome extension, by using this you can pull up all of the important information with one click (rank, estimated sales etc). This is where you size up the competition, look at the top five listings, what are the review levels looking like? Here is another useful tip, when you type a search term into Amazon and hit enter you are giving some useful information. In the top left corner you are given the number of results under that category, generally speaking the higher the number, the higher the level of competition. At the same time this can be misleading because although there may be lots results, the pages might be filled with irrelevant or poor products with low reviews, sales etc. So what I tend to do, is only really analyse the products on page 1 and sometimes on page 2, after all this is where the sales are. Another useful aspect of the chrome extension is the the column furthest to the right hand side (see below) this will tell you who the product is sold by, it could be an FBA seller, a Merchant seller or in fact Amazon. If Amazon are selling the product then I generally advise not to compete, it is their platform after all. If the top results are generally FBA sellers, you shouldn’t be afraid. Relevant keywords – what do they tell us? The keyword search volume is another huge indicator of how much demand there is for a product, i mean it makes sense doesn’t it, if there are lots of people searching for the answer to a problem you should be right there to offer a solution. Once you feel you have found a product that ticks most of the boxes we have discussed in this article, your next step is to ensure your listing is optimized. I will discuss listing optimization in another article but you can at least understand the most vital part which is ensuring your content is keyword rich, with relevant high traffic keywords. By high traffic keywords, I mean keywords that are used most often by your potential customers. If you really want to get analytical you can look at the search volume of a keyword and then use the jungle scout chrome extension (if you have it) to compare how many of those searches may convert to possible sales. There are many keyword tools out there my personal favorite is keywords everywhere but a popular one amongst Amazon sellers, which is a bit more Amazon specific, is Merchant Words. To clarify, seasonal products are products that tend to peak at certain times of the year, due to certain product characteristics making them more appealing during certain periods. This can be due to all sorts of factors, such as events, holidays, time of year, weather/climate etc. It can also be relative to the marketplace you sell in (e.g. US Holidays/Events might be at different times to the UK). The right non-seasonal (evergreen) products sell well and can have consistent sales all year round, if you are starting out i recommend sticking to evergreen products, inexperienced sellers can end up with a lot of excess stock due to them not being able to sell it all during the peak season. If you feel competent in managing stock and judging the seasonal patterns of products, there is good money to be made. So, how do you work out if a product is seasonal or not? Personally i use google trends, if you enter your search term and set the time scale out over five years, you will be able to see if demand increases at certain times of the year, if it stays consist with demand all year round, you’ve found an evergreen product. Branding – Is it necessary? There are so many successful amazon sellers out there who don’t think into branding as much as they should, by building a brand you are giving yourself the chance to sell it on in the future. By branding, I don’t mean just putting a name on the product i’m talking about creating a group of products under the same brand name/image, this creates a niche identity. Branding is an important part of building your amazon business! Anyway, you might be thinking, why does this matter when you’re just trying to find a product, surely you worry about branding after you’ve decided you want to sell a particular product? Well yes you’re not wrong, and there’s plenty of successful sellers out there who opt for the ‘one product’ approach. When I find a product that ticks the boxes i’m only really interested if it has branding potential. So here is a random example i’ve completely made up! (no affiliation to “YogaTime” – if they exist haha). Say I’ve decided on a yoga mat as my product, I’ve chosen a very specific brand name like ‘YogaTime’ (before deciding on your brand name be sure to check you aren’t imposing on anyone’s intellectual property). Next i’d start looking around on Amazon for things that could be linked to Yoga and before you know it I’ve got 3, 4 maybe 5 potential products that could fit this brand. With a brand, you have the ability to create a relationship with your customers. So before moving on i should say although I focus on brands, you shouldn’t disregard a product that ticks all the boxes! Sometimes if you find a winner, its worth considering regardless of it’s branding potential. Product type – Go simple! For me, I don’t like to over complicate things, I like simple products that are easy to use and have instructions that are easy to follow. I also like items that are not likely to break or harm anyone. Remember the less breakable something is the lesser the chances of a negative review. The best way to work out if a product is “simple”, is to order it and test it out yourself. Anyway, I hope you have found this article valuable, I’ve actually covered way more than i intended and gone into much more depth than originally planned, apologies if i’ve gone on abit, as you can tell it’s a subject i’m passionate about! The goal of this article was to outline what makes a winning amazon product let me know in the comments below if you’ve found it useful! Essentially, I genuinely believe that if you can take listen to the advice and utilize some of the tools/software’s I’ve recommended. Through out the article i have mentioned jungle scout as one of the tools i use, but it isn’t the only one. Click here: If you’d like to read about my favorite Jungle scout alternative. You don’t need to use paid software! All i’ll say is that it helps, especially if you are looking at growing a serious business. You can really make a success of finding the “best products to sell on Amazon” and in turn you will create a successful Amazon business for yourself. Don’t take our word for it, take action!